TurboXS Blog Page – Own the road! We recently shipped one of our latest products, the Hybrid BOV for the 10th Gen Honda Civic, to our friend Pawinn from the "Pawinning" enthusiast Youtube channel. We had Pawinn test the product and give us his thoughts. 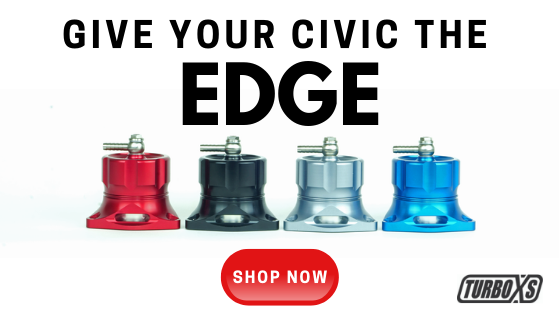 Check out his review of the TurboXS Hybrid BOV for the 10th Gen Civic. As many of our customers and followers know, we love the RX8. It's got a special place in our hearts and we are always thrilled to hear from an owner that has our parts. 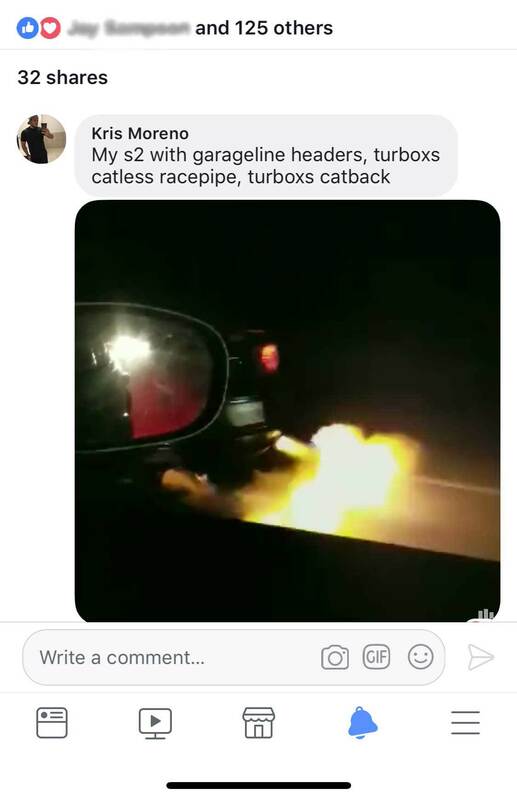 During one of our recent promotions, we got a direct message from one of our long-time customers with some cool footage of his RX8 shooting flames out of the TurboXS Catback Exhaust (see vid below). Kris was gracious enough to send us a few pics of his ride as well as send us his build list. After emailing back and forth, I learned a little about Kris and what makes him tick. Let me tell you, this plumber from Magnolia, Texas is a pretty cool guy. 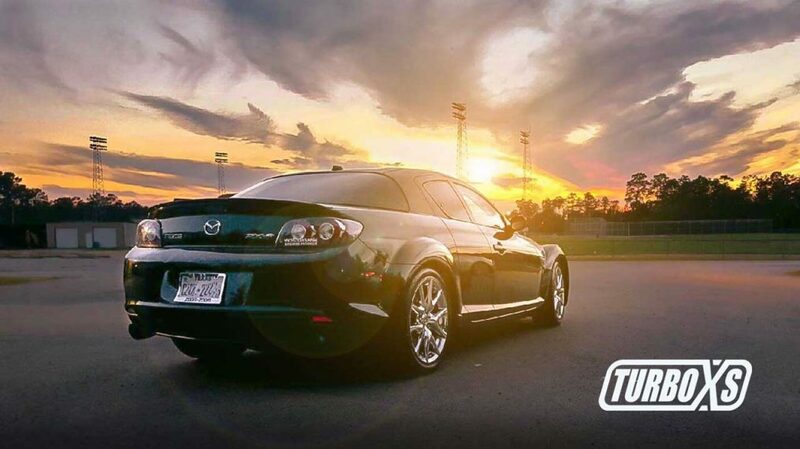 He's a passionate car RX8 enthusiast and is a member of 2 car clubs: RX Club of Houston and Nator Houston. The last time he was able to get on the dyno, he got 235 to the wheels, but that was with an exhaust and fuel leak. He hasn't had the chance to retest since the repair, but he's thinking that he will come in at 240/245whp. Not too shabby! "It's not just a car, it's someone's dream." When it comes to future plans for the car, Kris was "hush hush" about what he's got in the works. Thank you Kris for being a loyal customer and repping for TurboXS! The RX8 gets a lot of haters, but you know how it is; it's hard to please everyone. 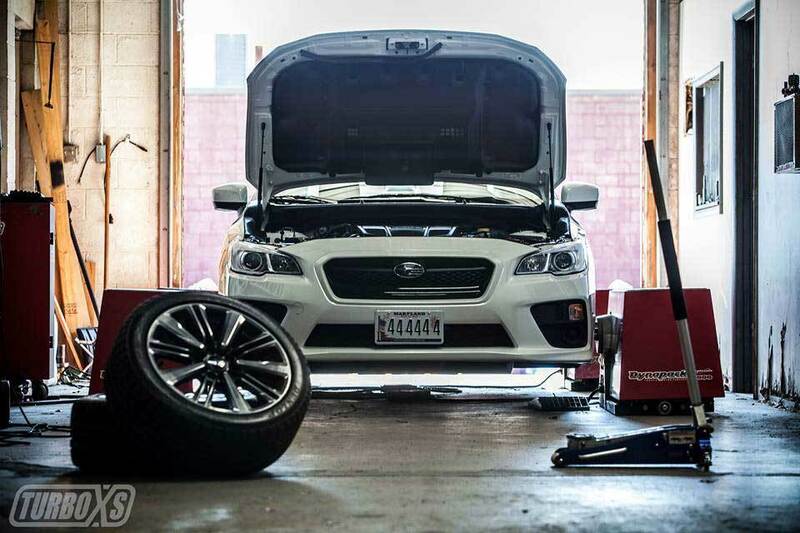 The beauty of meeting people in the gearhead community is understanding what drives their passion for cars. Kris says,"I fell in love with the RX8 at first site. It's not just a car, it's someone's dream." 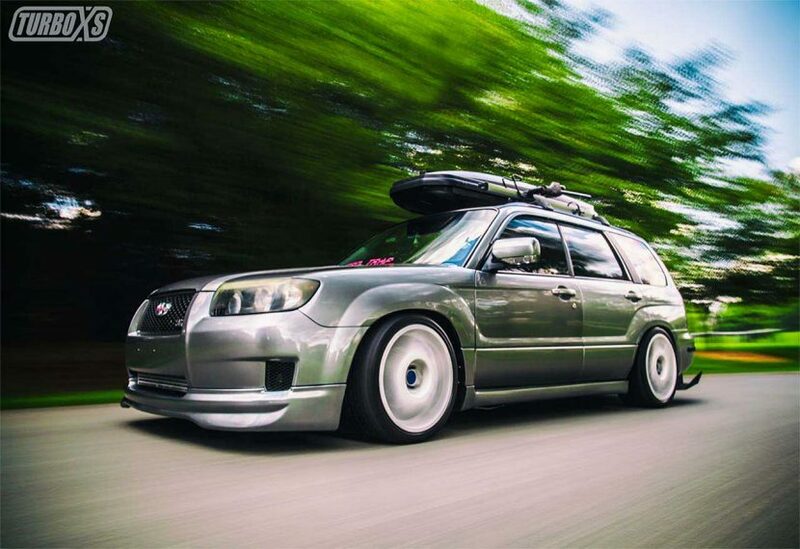 Last year for our customer showcase, we had the pleasure of shooting the infamous "Dad Wagon"; a 2007 Subaru Forester 2.5XT Limited owned by Mike Wallace out of Columbia, MD. It's always interesting to hear the story behind people's car projects and Mike was gracious enough to spend the day with us and give us the rundown on his project and how it became the "Dad Wagon". You know how it is, once you are bitten by the "mod fly", it's hard to resist the urge to leave the world of stock. "When I first bought the Forester, I had no intentions of doing anything to it," jokes Wallace. "But after a few months of owning it, I couldn't resist slamming it and it just snowballed from there!" Mike brought his daughter, Mia, along for the shoot. It was awesome to see how much he loves being a father. Most guys probably think that once they start a family, the car project days are over. Instead of making his family a reason to set his other passion for cars aside, his role as a father has been an inspiration for his project and a true reflection of who he is. Cheers to Mike, his family, and his awesome ride! Check out our video and his build breakdown below for more details about the "Dad Wagon". Last week we had some downtime at world headquarters and happened to get a visit from our buddy Bobby. Bobby is the proud owner of one of the sweetest ’07 STi’s I’ve seen to date. It’s the right mix of “show” and “go” and it’s perfect for a daily driver. We decided to take advantage of the visit and do an impromptu photo shoot so we could share this sweet ride with you. I always ask an enthusiast for their car’s story. Bobby didn’t hesitate and jumped right into dishing out the details! Short shifter with kartboy bushings. Join the TurboXS Tune Club! Join our email list for build updates, insights, and discounts. Copyright text 2018 by ​TurboXS.com.